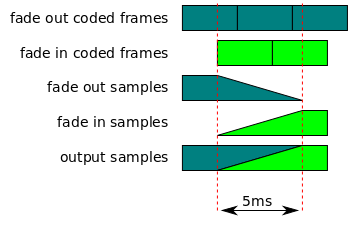 The duration of a coded frame. For video and text, the duration indicates how long the video frame or text should be displayed. For audio, the duration represents the sum of all the samples contained within the coded frame. For example, if an audio frame contained 441 samples @44100Hz the frame duration would be 100 milliseconds. The delay between a frame's presentation time and the actual time it was displayed, in microseconds & rounded to the nearest display refresh interval. This delay is always greater than or equal to zero since frames must never be displayed before their presentation time. Non-zero delays are a sign of playback jitter and possible loss of A/V sync. The byte stream format specifications in the byte stream format registry contain format specific examples. The bytes provided through appendBuffer() and appendStream() for a SourceBuffer form a logical byte stream. The format and semantics of these byte streams are defined in byte stream format specifications. 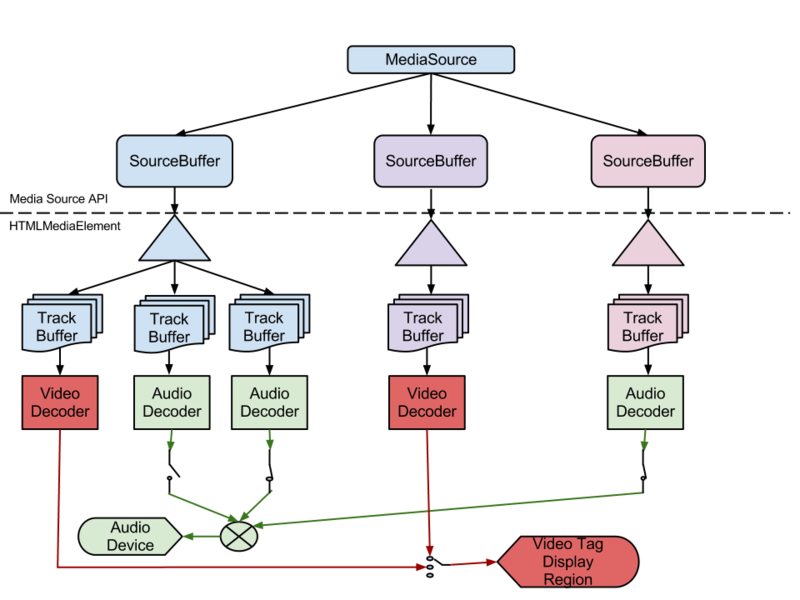 The byte stream format registry provides mappings between a MIME type that may be passed to addSourceBuffer() or isTypeSupported() and the byte stream format expected by a SourceBuffer created with that MIME type. Implementations are encouraged to register mappings for byte stream formats they support to facilitate interoperability. The byte stream format registry is the authoritative source for these mappings. If an implementation claims to support a MIME type listed in the registry, its SourceBuffer implementation must conform to the byte stream format specification listed in the registry entry. The editors would like to thank Alex Giladi, Bob Lund, Chris Poole, Cyril Concolato, David Dorwin, David Singer, Duncan Rowden, Frank Galligan, Glenn Adams, Jerry Smith, Joe Steele, John Simmons, Kevin Streeter, Mark Vickers, Matt Ward, Michael Thornburgh, Philip Jägenstedt, Pierre Lemieux, Ralph Giles, Steven Robertson, and Tatsuya Igarashi for their contributions to this specification.